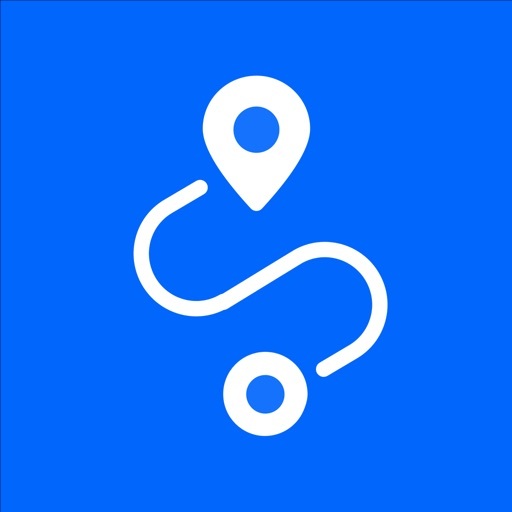 Discover the ultimate motorbike navigation app, with scenic curvy routes & route sharing with friends, it's time to enjoy every ride! 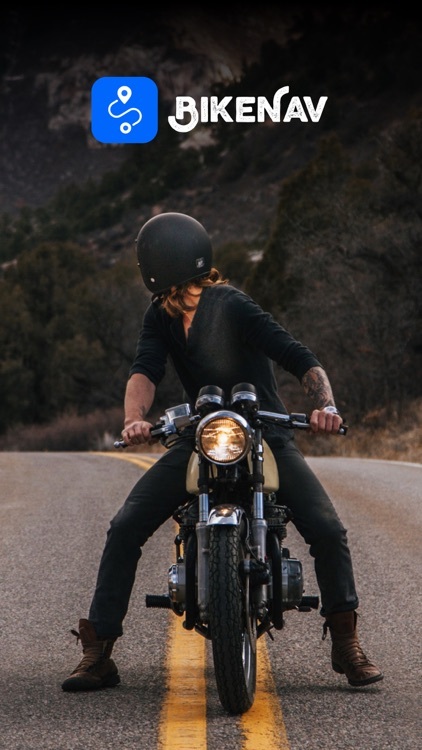 It has been built and designed by a team of enthusiastic motorbiker's and likeminded people that want to experience new and exciting unknown routes. 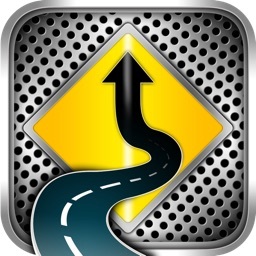 Our Turn-by-turn navigation will keep you on track guiding you effortlessly to your end point. Our Scenic Curvy Routes will allow you to explore journey’s you didn’t know existed. 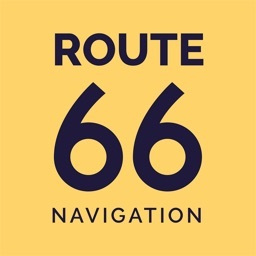 Simply enter your destination and let the app do all the work, planning the route. With our curvy routes not only will you see simply stunning scenery, you will also feel a thrill from the exciting twists and turns along the way, giving you the ultimate adventure. 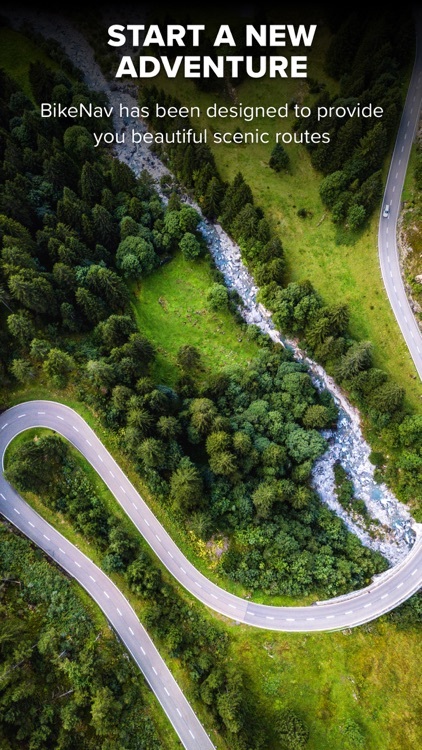 If you take a wrong turn or wish to go a different route, our system will automatically replan your journey, keeping you on a scenic curvy route. With a couple of clicks, you can also avoid motorways, tolls and unpaved roads, keeping your ride as smooth and picturesque as possible. 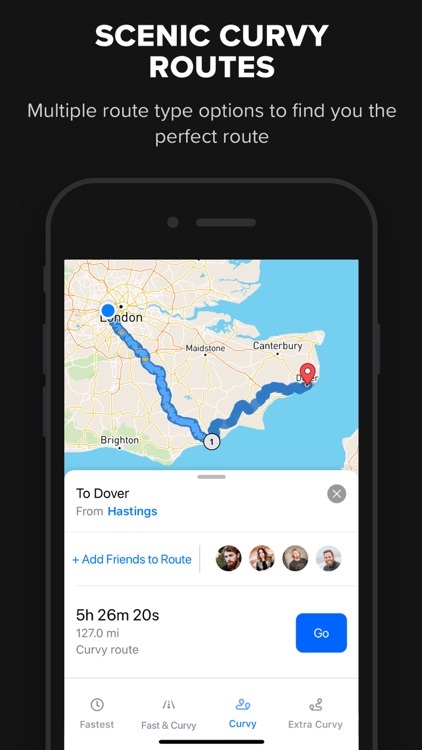 The sociable aspect of biking is enhanced by our route sharing and friend tracking feature. This enables users to ride along with fellow riders on the app. 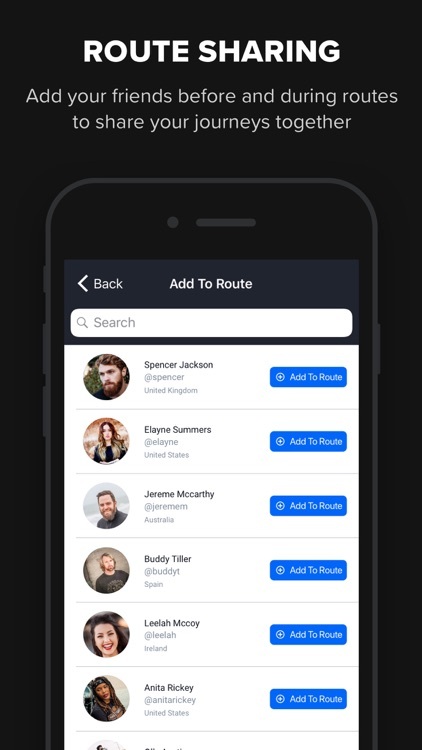 Simply invite your friends to your route and their image will be displayed on the timeline at the bottom of the screen. Lost a friend along the route? 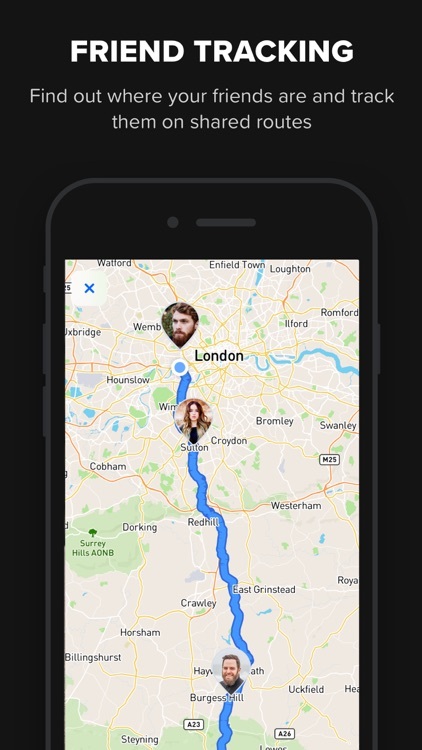 No problem, our map view provides an overall view of the journey, showing you where you are in relation to your friends. 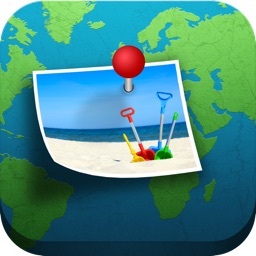 This enables you to track their progress as well as your own. 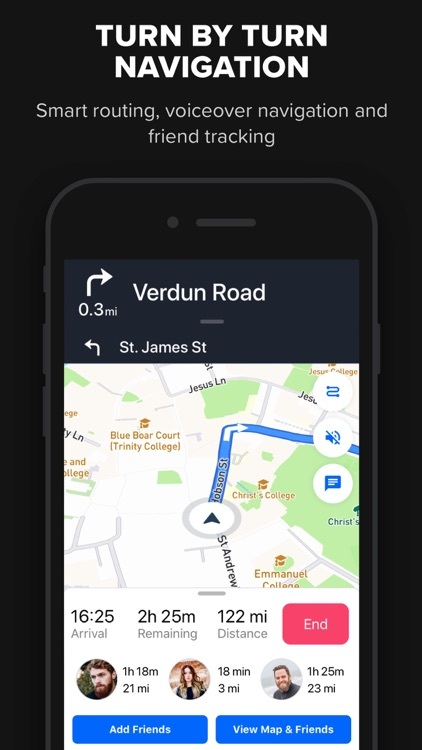 Our turn by turn navigation will accurately guide you on your journey with timely turn indicators and distance markers shown at the top of the map screen. Our algorithms ensure that if you take a wrong turn you will be rerouted back on track using visual and spoken instructions. Our turn-by-turn navigation also comes with Voice Navigation that can be integrated with bluetooth headsets. It will allow you to navigate with ease and precision, giving you prior warnings before you come up to a turning.